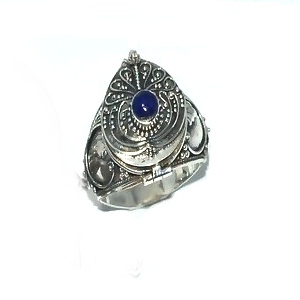 New 925 Sterling Silver Poison Ring with Genuine Blue Lapis stone. 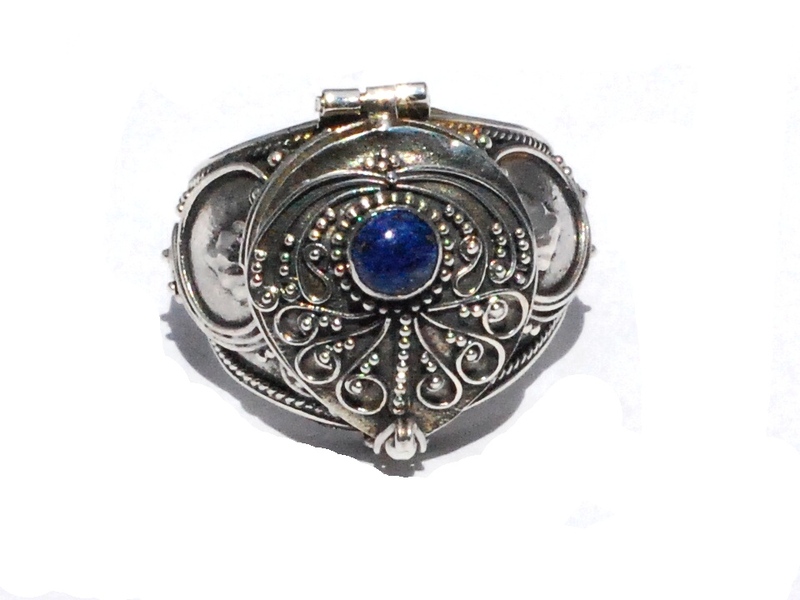 A hidden box sits on top of the ring with a functioning lid to hold small objects or in ancient day, a small amount of poison. 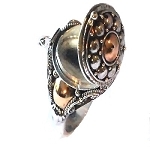 The ring has a latch to keep the lid closed. 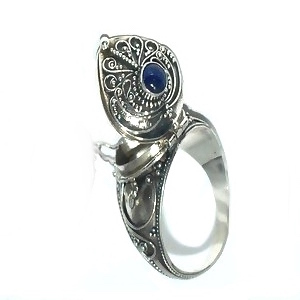 These rings are also known as Prayer Rings and Treasure Keepsake Rings.